Flamin' Groovies On World Cafe : World Cafe Known for '70s power-pop, the San Francisco band celebrates its 50th anniversary in this session. 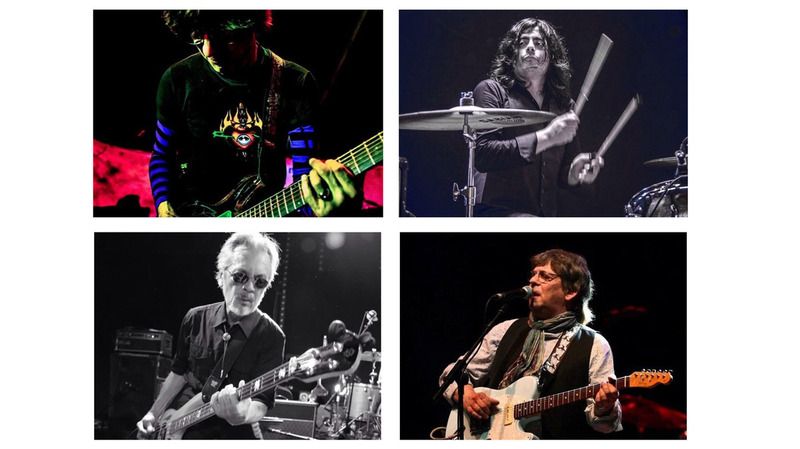 After getting its start in San Francisco in 1965 and holding onto an early-'50s rock sound that was out of place with the psychedelic ballroom scene, the Flamin' Groovies gained more fame in the early '70s when Cyril Jordan took sole control from original member Roy Loney. Jordan's partnership with Chris Wilson morphed the band into a classic power-pop group with hits like "Shake Some Action." That's one of the songs that Jordan, Wilson and original bass player George Alexander perform for today's World Cafe session, recorded to celebrate the Flamin' Groovies' 50th anniversary.